On 29.11.2010 at 17:35 h the on-duty ship traffic operator – Burgas heard on VHF 16th channel a phrase „Alessandro DP red to red”. The attempt to perform a connection on the same channel with m/t Alessandro DP was unsuccessful. At 17:40 h through Varna Radio in the MRCC Varna was received distress signal emitted from m/t Alessandro DP. The accident occurred at approximately 10 nautical miles south-east from Cape Emine in possible coordinates 42° 34` N and 028° 03`Е. 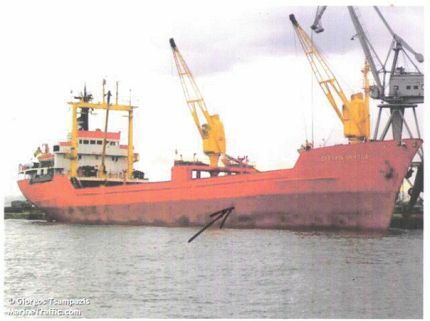 M/T Alessandro DP reported for collision with another ship, that sunk and for significant damages on itself. MRCC declared Phase of Distress. After performing the initial activities and in accordance with the respected operational procedures the ODO in National Service Border Police and ODO in BuNavy were informed and were asked for their assistance.